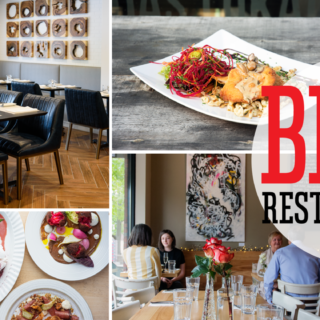 It’s a delicate balance, walking that fine line between modern and inviting. 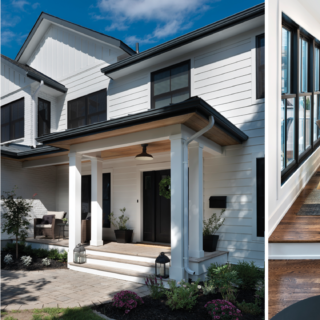 When a professional couple with two children approached architect Jason Flynn to design a house to replace a tear-down in Old Ottawa South, they knew they wanted a crisp and clean look but were also determined that their new house would be welcoming. That warmth is echoed in the walnut-clad feature wall that partially separates the dining room from the main hallway. It creates an intimate space within the larger open-concept main floor that, with its 10-foot ceilings, might otherwise seem almost museum-like. 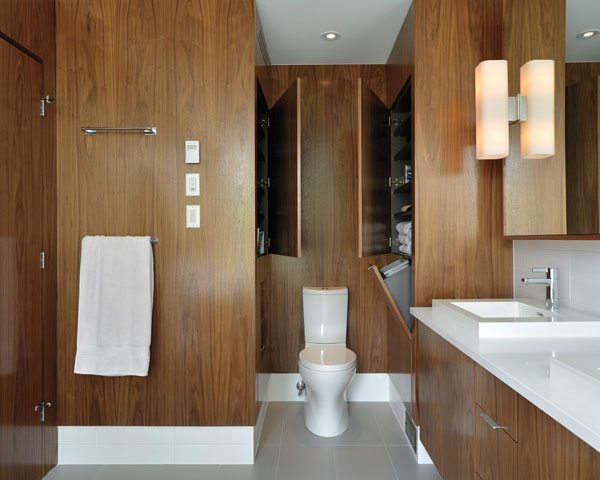 The bathroom replicates the kitchen’s white-and-walnut motif, with Flynn switching it up to use the wood on a vertical grain. Though sleek and sophisticated, this is also a very practical space, designed with easy cleaning in mind and lots of storage space. The toilet, situated in a recess at one end of the room, is surrounded by panels that open up to reveal ample storage, including a hidden magazine rack. 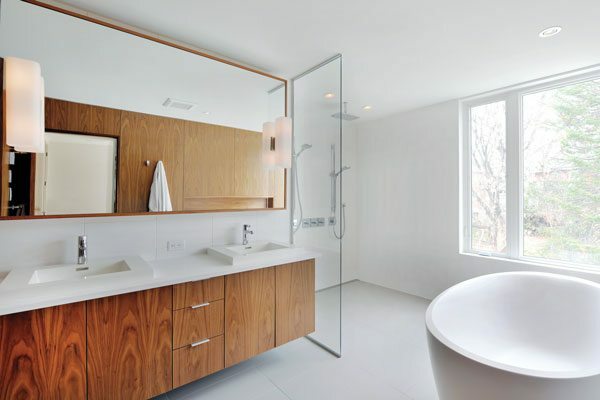 To give the space a very open feel, the shower is divided from the room with just a simple sheet of glass and there are no water-blocking curbs on the floor. Instead, the water runs into a trench drain along the back wall. 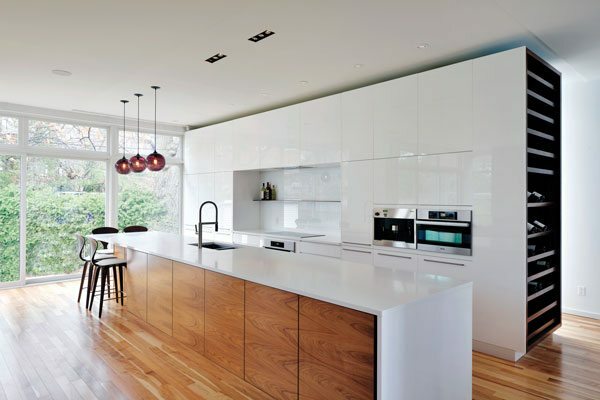 Cabinetry: Natural walnut and high-gloss white Parapan from LTR Industries.